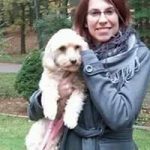 Pet’s experience stress and anxiety for multiple reasons. 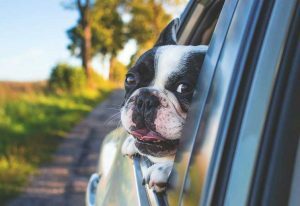 Everyday tasks like leaving to go to work or taking a ride in the car can trigger some unexpected behaviors in your pet. Loud noise from a house hold machines, fireworks or even thunderstorms can also cause your pet to get stressed out and experience anxiety. To learn how to fix these behavior issues let’s first look at what pet anxiety and stress really is. 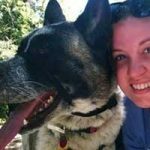 What is Pet Anxiety & Stress? According to the English dictionary anxiety is the “distress or uneasiness of mind caused by fear of danger or misfortune” This means that our pet’s are really just scared or fearful when experiencing anxiety. Your pet can be scared to be left alone because only God knows what will happen!.. And as a puppy or kitten growing up they were once the center of attention (separation anxiety). They are afraid to get go in to an unstable, moving vehicle or an enclosed confined mobil environment (car travel anxiety). Your pet will panic when faced with unknown loud noises from fireworks or thunderstorms (loud noise anxiety). It’s also very common for your pet to experience stress when around other animals or even other people (Social Anxiety). Our pet’s are naturally fearful animals. Fear is an old servival technique that’s in their blood. I want to say that it’s instinct. They fear the unknown and don’t know what will happen as a result of these uneasy factors. Now that we understand what pet anxiety and stress is, let’s examine the different types and breakdown the causes of each. 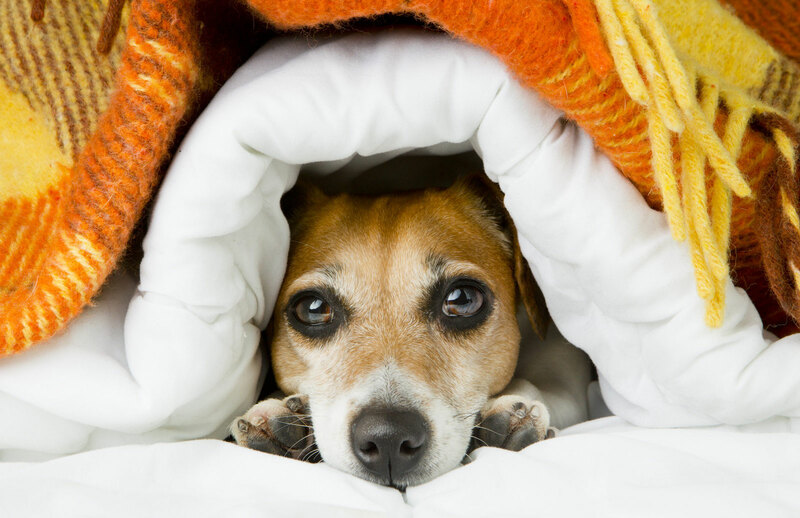 Here we focus on the 4 most common conditions associated with Pet Anxiety & Stress. All pet’s are different and can experience different types of anxiety. Below we have separated the 4 most common conditions and explain the details of each of their symptoms and treatments used. Read on to find out what condition your pet might be experiencing. See what our customers are saying about Holistapet and how it helped treat their pet’s Separation Anxiety, Travel Anxiety, Loud Noise Anxiety & Social Anxiety. 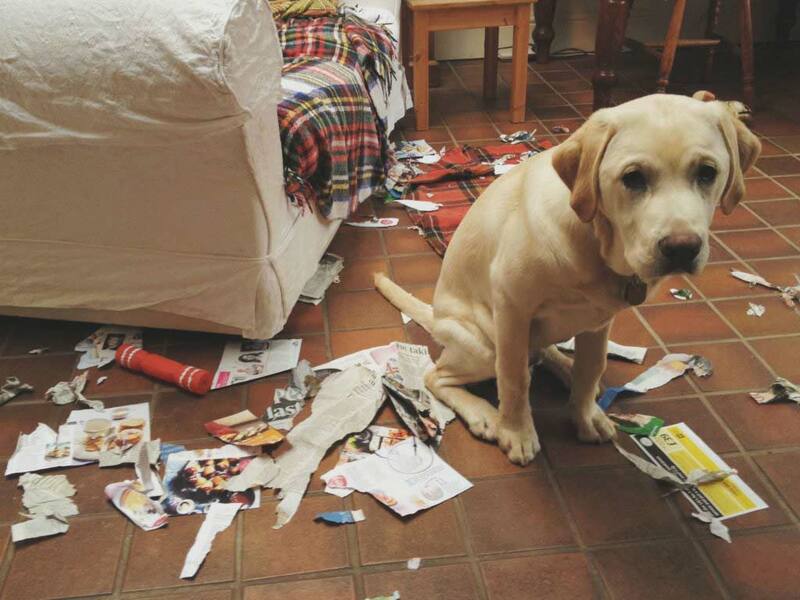 So you found out the hard way that leaving your dog home alone is not a good idea. 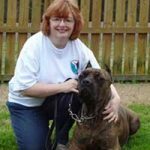 Without the proper treatment your nervous dog can do some very damaging and upsetting things when left alone even if it is for a small period of time. Leaving your dog alone is sometimes unavoidable. Every family needs to leave the house to go to school or work. It can be the end of the world to your dog if you are gone for even a short period of time. Your pet loves attention and when no one is there to give it to them, this becomes a problem. Learn the symptoms of what to look for so the next time this behavior can be avoided. 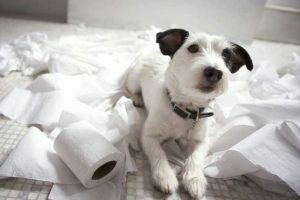 Defecating or Urinating – Your pet might be well potty trained when you are around but if you leave this stresses the pet out. Some people even believe that a pet might urinate or defecate because they are mad that you left! Pet’s have been reported to urinate on personal property as to almost send a message to the owner. Barking or howling – Your pet will bark or howl excessively and this usually leads to complaints by the neighbors. Your dog is trying to tell you something. They don’t want to be let alone! Barking is a clear sign that they are needing attention and they won’t stop barking or howling until they get it. They know that this type of extreme behavior will result in someone, anyone coming to their rescue. Pacing and Panting – Your dog will start walking back and forth uncontrollably sometimes whining or yelping while they do this. This is one of the first symptoms that will soon lead to the others. Pacing is a for sure sign of anxiety. 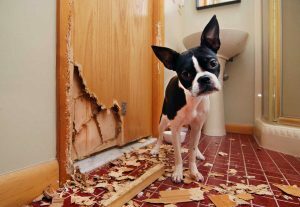 Destroying property – Pets with separation anxiety have been known to chew property when left alone. They can bite or chew door frames and window seals. When the anxiety gets extreme they have been known to cause self injuries like broken teeth, small cuts and bruises. Digging to escape – When left alone your dog will try to escape however they can. It might try to dig holes under a door or exit. This includes digging up the carpet or wood flooring in front of the door. They might also chew the molding or door jam in an attempt to open the door. Owners also have reported that the pet will dig in the yard under a wall or gate in attempt to escape. Treating separation anxiety is a delicate process. Slowly conditioning your dog to be ok with you not in the room is the key to success. 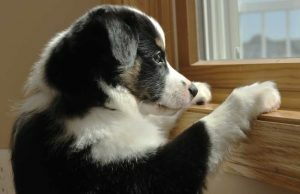 Conditioning your pet: Your pet has been conditioned to recognize the departure signals to show when you are about to leave. These signals can trigger anxiety & stress. They go on unnoticed to you but to them it’s a sure tell sign that you are about to leave them all alone! Your departure signals can be anything from putting on your shoes, grabbing your keys, putting on your coat, putting on our makeup or simply grabbing your bag or purse. Your pet has learned from years of this regular “getting ready” routine that you are about to leave and this makes them anxious. How do we reverse this anxiousness after years of conditioning? Simple, let’s start by slowly mixing up your regular routine. For example instead of putting on your shoes before you leave the house. Try putting them on in the morning and then sitting down to watch some TV.. Instead of grabbing your keys before you leave, try grabbing them and sitting down at the kitchen table to eat. Try grabbing your purse or coat and walking it from one room to the other throughout the day. Wake up and put your shoes on for 20 minutes and then take them off. The point is to mix up the signals so that your pet will not conclude that you are leaving so easily. 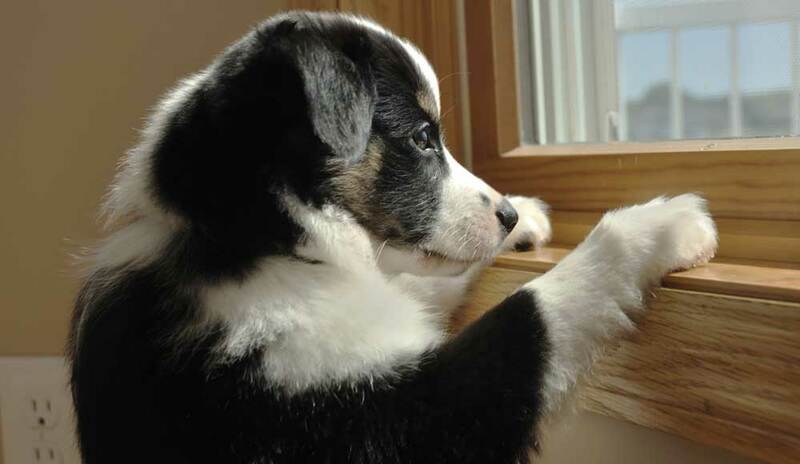 Do this for several days until your pet stops showing signs of anxiety when you are getting ready to leave. After you have successfully reconditioned your pet, it’s time to start slowly leaving them by themselves. Your pet is conditioned to know that if you are out of site then you are probably not there at the house. You can start to leave your dog in the room next to you and shutting the door at first only for short periods of time. Try leaving your pet for 2 min and then come back. Next try to increase the time to 5 mins then try 10. After you have successfully conditioned them to be ok when you leave the room for hours, you can then try the same thing when leaving the house. 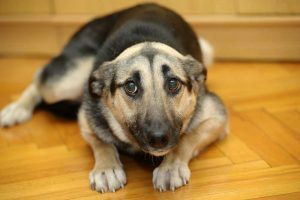 Pet’s usually have social anxiety because they have not yet been trained to be social with other dogs or other people. This is another conditioning procedure that you should start introducing to them at an early age. Lack of early socialization will later lead to social anxiety if left untreated. There is a risk of your pet developing behavioral problems such as fear, anxiety & aggression is much higher if not properly socialized early. When owners can’t bring their pet’s around other people or pet’s this causes more reason for their pet’s to be left alone which can then cause more anxiety and stress in your pet. Fear of other people or other animals – Your dog or cat can become scared of others. unknown people and other pets can be intimidating and cause fear in your pet. 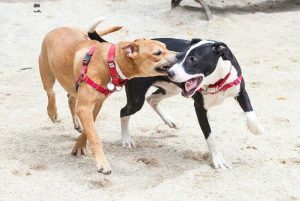 Aggressive behavior – Your pet will become aggressive as a sign of defense because the other pet or person is unknown and they fear of being attacked. Pacing & Panting – your pet will experience anxiety when around other dogs by panting and pacing back and forth. 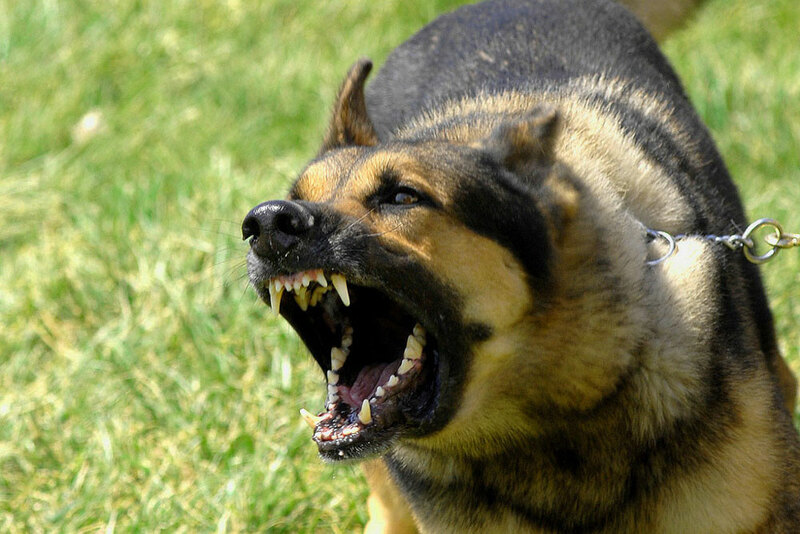 Barking, growling, scratching or whimpering – Your pet will bark uncontrollably growl or whimper excessively whenever around another dog or person. Desensitize your pet slowly by bringing your pet around other pets one at a time. Try leaving them together at first for short periods of time then slowly start letting them be together for longer periods. Just the same, let your pet be with another person for short periods of time. Don’t be forceful or impatient you will only cause more anxiety if you do this. Make use of positive reinforcement with treats and toys. Give your pet a pat on the head and tell him “Good boy” They will eventually loosen up become friendly. 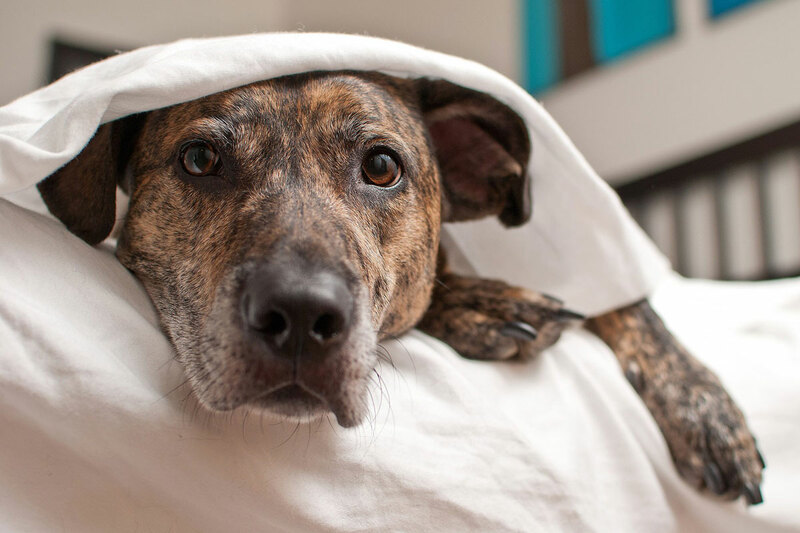 Thunder and fireworks are common noises that can scare your pet. Other loud noises that can trigger anxiety in your pet include: sirens, thunder, fireworks or even sometimes earthquakes. Animals have strong hearing and are sensitive to loud noises. When your pet experiences these noises it frightens them. This fear can cause them to act out or misbehave. Symptoms of loud noise anxiety include: Excessive barking, whining, drooling, panting and pacing, full of distress. More serious symptoms include more destructive behavior like destroying property, chewing or urinating uncontrollably. Again it is important to slowly condition your pet to accept this noise. Reassure them that everything will be ok and they are not in any harm. Comfort your pet by petting them or by giving them treats. Try distracting them with toys and food while the loud noise is occurring. Music has been known to be a good distraction as well. Slowly condition them to not be afraid. They will eventually see that everything is fine and there is no need for panic. Thunder shirts have always helped calm a pet for a thunderstorm. This works by applying pressure around the pets body. Wrapping them up with a towel or blanket can also work just the same. With so many destinations being pet friendly these days, it seems like you can probably just take your pet with you everywhere right? 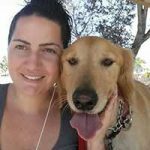 Travel anxiety is a common problem with pet’s and owners find this out the hard way. Don’t let the condition surprise you. Fortunately there are several new ways to help calm your pet’s anxiety and car sickness. Symptoms of travel anxiety range from mild to severe. Mild symptoms include panting, whining, drooling, barking, shaking & pacing. Severe symptoms include: destructive behavior, vomiting, urinating or defecating. 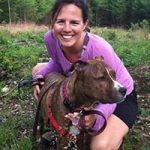 Slowly conditioning your pet to travel is the key to treating their anxiety. Start first by putting your dog in the back seat or cargo area of your car. Praise him, give him positive reinforcement treats. Play with your dog while in the back seat. Try feeding your pet in the car. Do this daily only for a few minutes at first and then slowly start increasing the amount of time spent in the car. Make this the best, most positive car experience that you can give. Next start conditioning by taking your pet on short trips to fun destinations. A short car ride to the local park or beach is perfect. Take them on trips to the pet store! They love PetCo or PetSmart trips! Give your dog a fun new experience associated with your once dreaded car. Then gradually increase the driving distance every time and you will soon rid of any old travel anxiety problems! 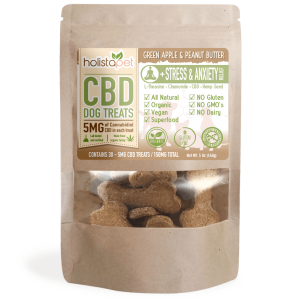 Try our HolistaPet CBD Dog Treats +Stress & Anxiety Relief to reduce your pet’s anxiety! 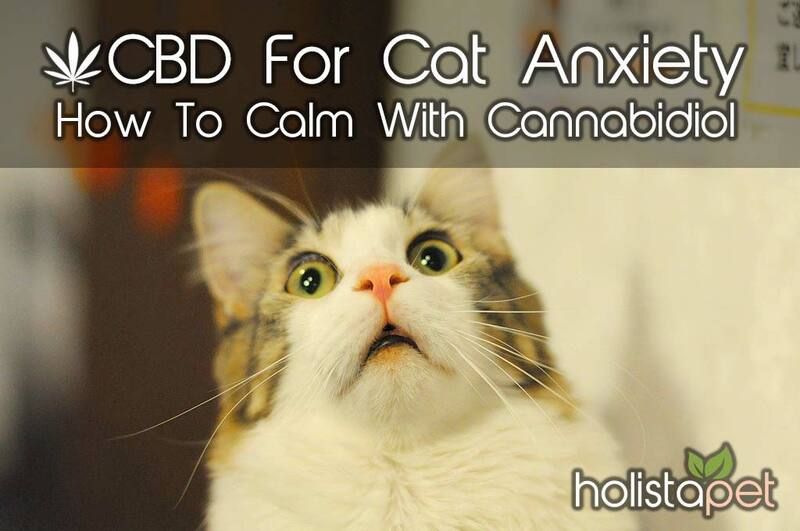 CBD has been proven to help reduce anxiety and stress naturally and effectively. Weather your pet suffers from separation anxiety, social anxiety, loud noise anxiety or travel anxiety, our CBD dog treats will help! 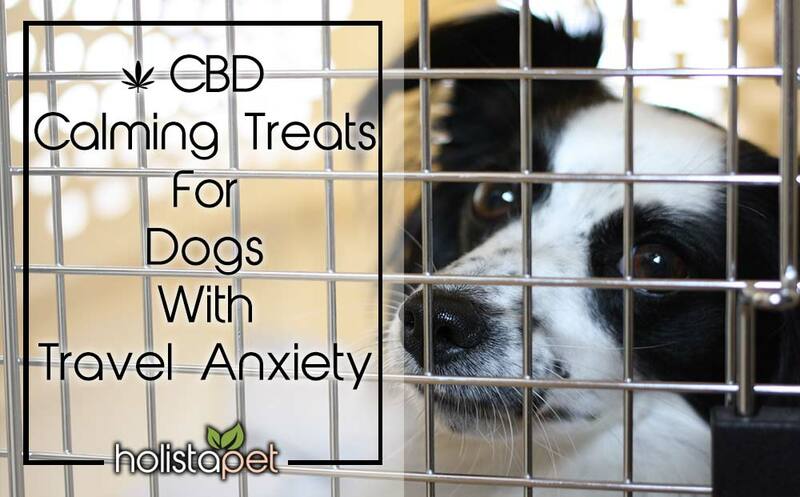 Holistapet CBD dog treats +Stress & Anxiety Relief are enhanced with L-Theanine and Chamomile to increase alpha wave generation and lower your pets anxiety. These unique calming herbs combined with other key superfoods like Hemp Seed Powder and Pure CBD Oil are essential to help your dog maintain calm energy and a peaceful relaxed state in any stressful or nerve racking situation. 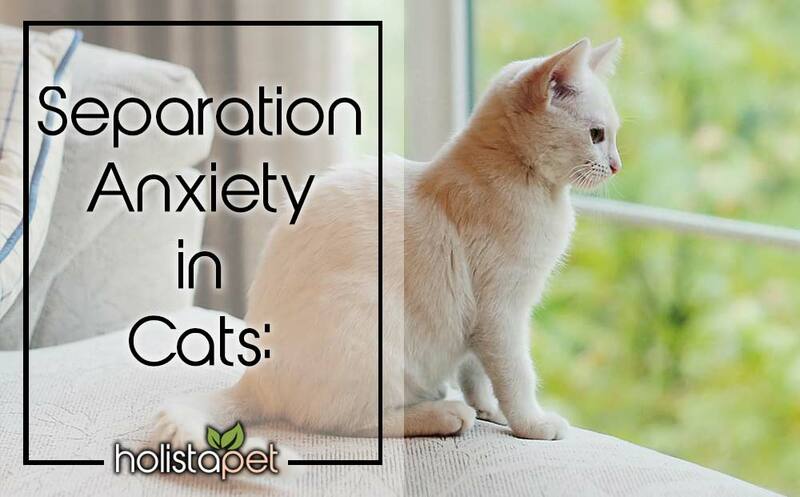 This formula is perfect for animals who suffer from anxiety, stress & phobias. 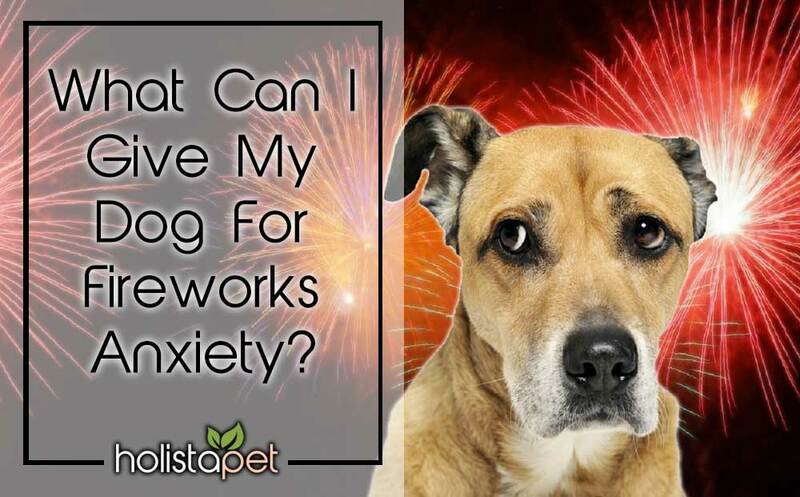 Great for pet’s who show fear from fireworks, thunder or loud noise. Pet’s with severe separation issues or traveling anxiety. Also good for animals with nervous stomachs. Read more related articles on Pet Stress & Anxiety, how to treat and how to prevent. Your pet deserves to be stress and anxiety free!